How do I make a new class or section? Click on "My Sections" in the top bar, then “View Teacher Page”. On the top right of your teacher page, click the "Create New Section" button. Import a class from Google Classroom: Learn more about importing your roster from Google Classroom here. To create a section on CodeHS (if you're not importing from Google Classroom), start by giving it a name. Then, you can choose the course you want to enroll your new section in. 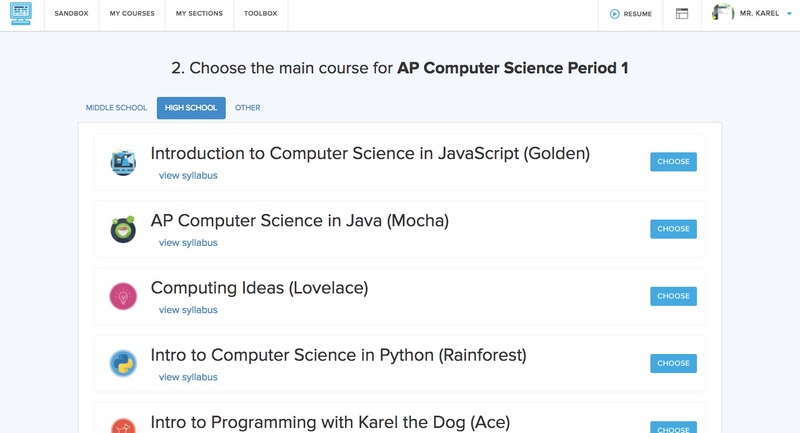 You can filter on courses designed for High School, Middle School, or other courses you may be enrolled in, like playlists. After selecting the main course, it's time to invite your student! 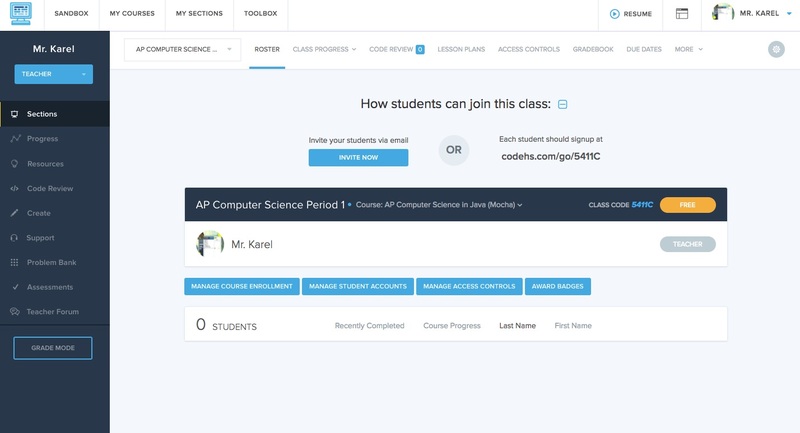 To have students enroll in your class, you can either invite your students by email, share the generated URL, or send them to codehs.com/go and enter the unique class code (as shown below).